I’ve just left the Uffizi, the highlight for me, especially after having commissioned so many Botticelli art reproductions for people was standing in front of the monumental paintings of Botticelli’s Primavera (Spring) and The Birth of Venus. The Primavera (c.1482) was painted for the Medici family and measures a staggering 203 cm x 314 cm. The Primavera must be read from right to left. So we start with Zephyrus, the light spring wind who pursues the nymph Chloris, and having catches her, endows her with the power of being able to germinate flowers. The ability transforms the nymph into Flora, the Roman goddess of Spring and flowers. Flora is the embodiment of nature and her dress is covered with the floral symbols of her role. In the centre is Venus and above her a blindfolded cupid is shown pointing an arrow at the three graces who are dancing and celebrating spring whilst Mercury banishes the clouds from the garden. There are many other interpretations of this painting, but as I remember from my art history days, this is the most widely accepted theory. The Birth of Venus (c.1484) another big painting measuring 184.5 x 285.5 centres on the theme of Love. 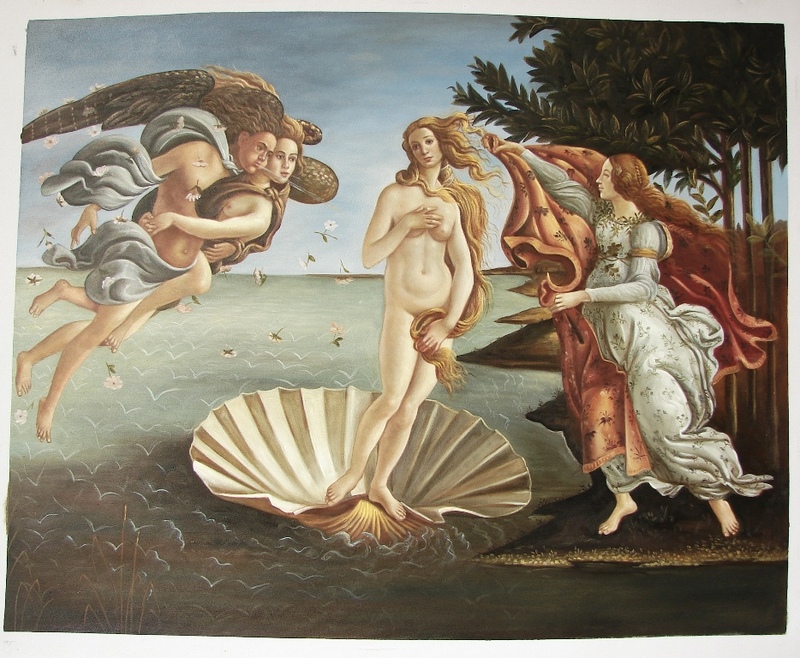 Botticelli's The Birth of Venus - Art Reproduction Painted by Fabulous Masterpieces. Oil Painting on Canvas. Propelled over the waves on a floating shell by Zephyrus again (god of wind), this time joined by Aura. Venus lands ashore and is handed a flowered cloak by a young girl. Classical texts such as Homer’s Hymn to Venus and Ovid’s love poetry were the likely literary references. Would you like a quote for a Botticelli oil painting? If you would like a quote for a Botticelli reproduction oil painting such as The Birth of Venus or Primavera, please contact us. As with all our commissions, our Botticelli paintings are strictly made to measure, so you can choose to have your oil replica painted to the precise dimensions that is going to suit your wall space or existing frame. 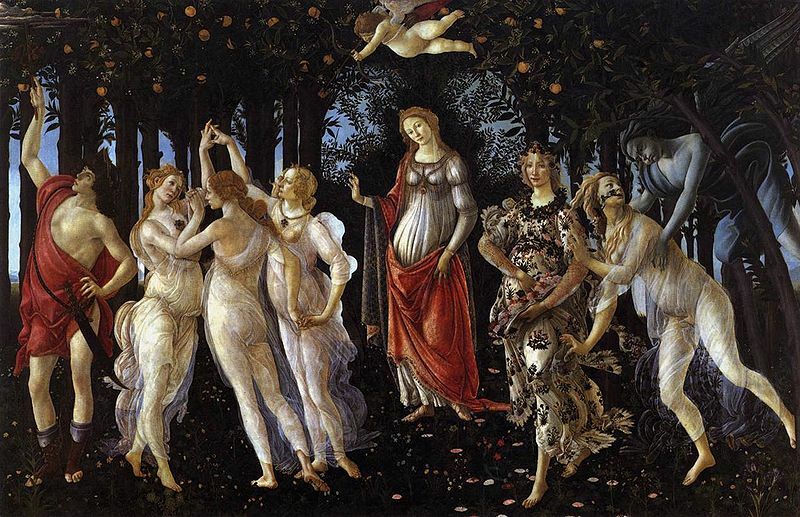 Alternatively, why not visit the Botticelli online gallery?! You’ll be able to commission a fine art reproduction of any of Botticelli’s great masterpieces straight off the website. We’d love to hear from you! If you would like to add something, share your knowledge on Botticelli or ask a question concerning our Botticelli art reproductions please leave a comment.